Deborah started her counselling training in 1997 and has been working as a full-time therapist from 2006. She has an extensive range of qualifications and has gained vast experience working with a diverse range of issues, providing services to people of all ages. Deborah graduated from the University of Ulster with a Hons Degree in ‘Professional Development in Counselling’. She is a member of the British Association of Counselling and Psychotherapy, and an accredited member of the National Counselling Society. Through Deborah’s work with clients she developed a growing passion in helping people find comfort with issues around body, shape and weight concerns. She completed training from National Centre for Eating Disorders and has qualified as a Practitioner in Eating Disorders. Within the college setting Deborah works as a Counsellor and Trainer with South West & Northern Regional Colleges. There she provides 1-1 support to adults who are experiencing a range of difficulties. Deborah also designs and delivers training around personal growth and development, assisting students to reach their full potential. As a parent of two children and a strong belief in children’s rights and the importance of children feeling heard, Deborah has developed a growing passion in working with children and young people. She currently works within the community as a Youth Counsellor where she provides therapeutic support to children from CAMHS (children and mental health services). Deborah is also a foster carer and provides emergency care to children in need. In 2010 Deborah commenced to build her own private practice in Antrim town, here she provides therapeutic support to people of all ages. Deborah works as an associate Counsellor at Life Therapies Clinic and offers an extensive treatment recognising the importance of every client’s individual needs at a pace to suit. 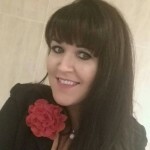 Deborah works from her clinic in Antrim town and provides support to clients from all North West & North East areas, including Coleraine, Magherafelt, Limavady, Londonderry, Strabane, and surrounding areas.